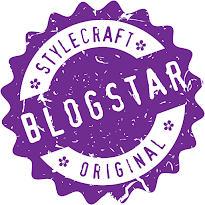 It's another day of the awesome STYLECRAFT blogstars blog tour and it's my turn. If you've been keeping track of the tour, then you'll already know that yesterday it was the talented Sandra from Cherry Heart and tomorrow it's the fabulous Lucia from Lucia’s Fig Tree (I cannot wait to see what she's been up to). 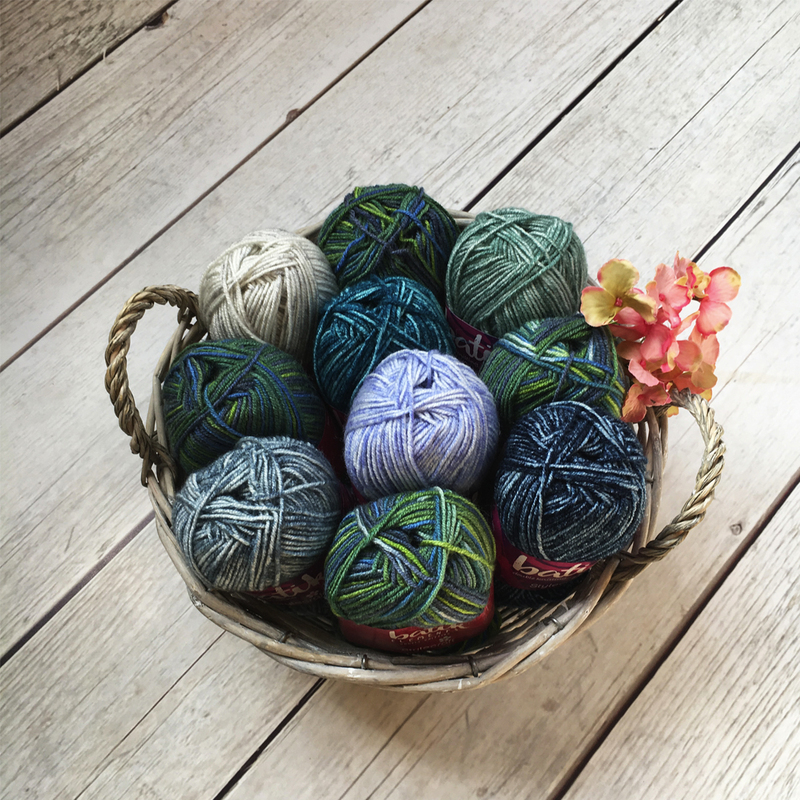 This year's brief was to work with a 10-ball yarn pack, which contains 4 balls of the-new-kid-on-the-block, Batik Elements (a gorgeous variegated yarn) along with 6 coordinating colours from its sister range, Batik. There are four colour packs available and I chose Lagoon: I'm always drawn to these kinds of colours. ... These photos clearly show a knitted thing and I am not really a knitter. And you're right, but that's where the Batik came in - because I'd seen an idea for a shawl using a simple combination of garter stitch and stockinette stitch and thought the yarn would be absolutely perfect. I had decided THIS would be the shawl that would teach me to knit. I changed the pattern - the original created an isosceles triangle, with increases on both sides, but I wanted a right-angle, with the increases on just one side and with larger bands of increasing colours, too. And do you know what, I love it; Sure enough, my stitches were decidedly dodgy to start off with and my needle hold was awkward, but as I progressed through the shawl, so my tension improved and the yarn fed through my fingers more smoothly and everything neatened out. It's lovely to work with. I've crocheted a shawl for Inside Crochet Magazine (Issues 92, 93, 94) with it and it's bouncy and soft and warm - (that's the 20% Wool content). And the same can be said for knitting with it; Simply gorgeous. 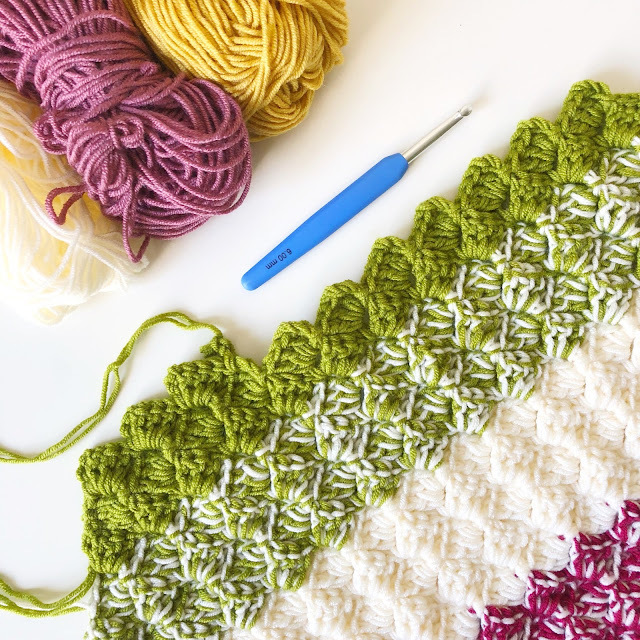 But before we get to the pattern, how would you like to win a Lagoon yarn pack?? Simply enter the competition HERE for your chance to win. So let's get to it. The original pattern is called 'Sonnensegel' by Ulrikestrickt and can be found for free HERE. It is not perfect; It is not meant to be. I forgot to use one of the colours in Part One and I reckon on some of the rows, I forgot to increase, too. This pattern is easy and forgiving: Perfect for learning to knit. Increasing is carried out (as a Knit Front and Back) on the right-facing side of every knit row in both Garter and Stockinette sections, starting at the first section A*, EXCEPT on every first row where you have changed colour. To increase: simply K1, increase 1 (kfb), then knit across the rest of the row. The Garter stitch rows (B) will always be in Krypton. The Stockinette stitch sections (A) will repeat the same colour twice. The Stockinette stitch sections (A) will repeat the same colour three times. Work in pattern (Section A, Section B), changing to Teal, Indigo, Sage, Storm, Lupin, and Silver for 3 sections each, ending with a section of Garter stitch in Krypton. Cast off loosely and block lightly. Oh goodness, I hope that makes some degree of sense. 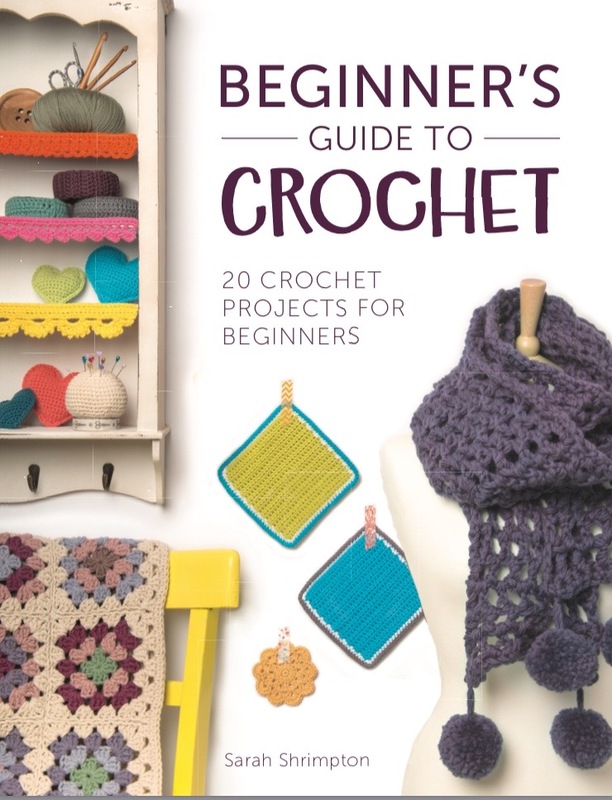 If it's your first knitted shawl, then good luck and I hope you enjoy making it. If you're a pro, then please excuse my novice knitter's mistakes and enjoy the pattern, too. 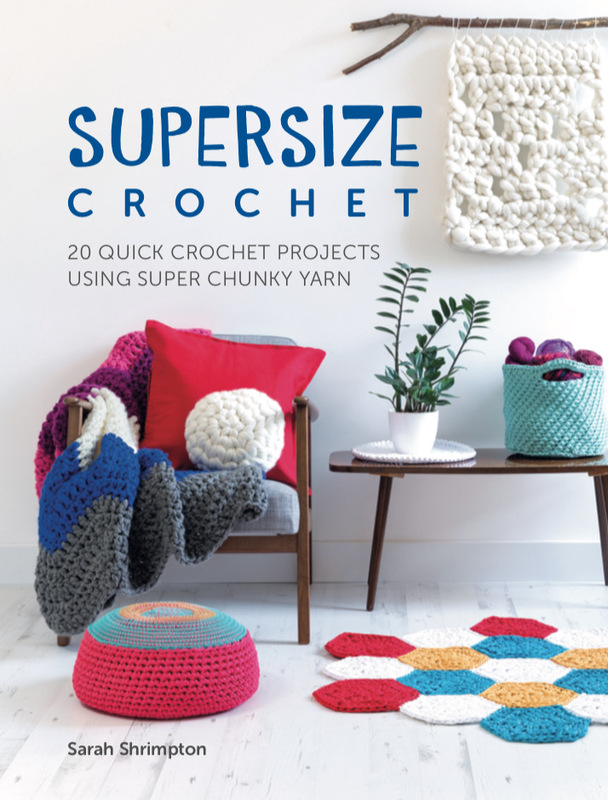 Crafternoon Treats, The Twisted Yarn, Patchwork Heart, Hand knitted Things, Keep Calm and Crochet on; Catherine’s Crochet Corner, Zooty Owl, Attic 24, Janie Crow, Crochet Between Worlds, Get Knotted Yarn Craft, and Crochet Between Worlds. Hi Sue - that’s great news! This pattern is so easy and forgiving, which is the most important thing for a beginner. I hope you enjoy making it. Thanks so much - I think crochet will always be my first love, but I’ve really enjoyed knitting this shawl. I love the way it turn out knitting! It is fab, even the colours. Thank you so much for this pattern, i will use this soon as possible. Thanks so much, Arja- I’m so glad you like the pattern!!! Ah, thanks, Selma- that’s so kind!! I have to say, I’ve really enjoyed knitting this and have just bought some smaller needles to make some socks!! But yes, you are so right - I need to invest in some reeeeeeally big needles next!!! Hi Klara - I’d love to be bistitchual!!! I think it’s the way forward!! I hope you enjoy making the shawl - do let me know if you come across any problems in the pattern. Hi Rachel! That’s great to know that you’re considering knitting - I’ve loved having a try! That’s great to know that you’re going to give this a go!!! Hi Sarah. I've just finished my practice piece knitting and I'm pleased as punch. My hold us awkward but I've made a shrug/poncho. I'm ready to start your scarf. Reading through the pattern I see where the increase starts but don't understand how many stitches are increased and if it is on every row? 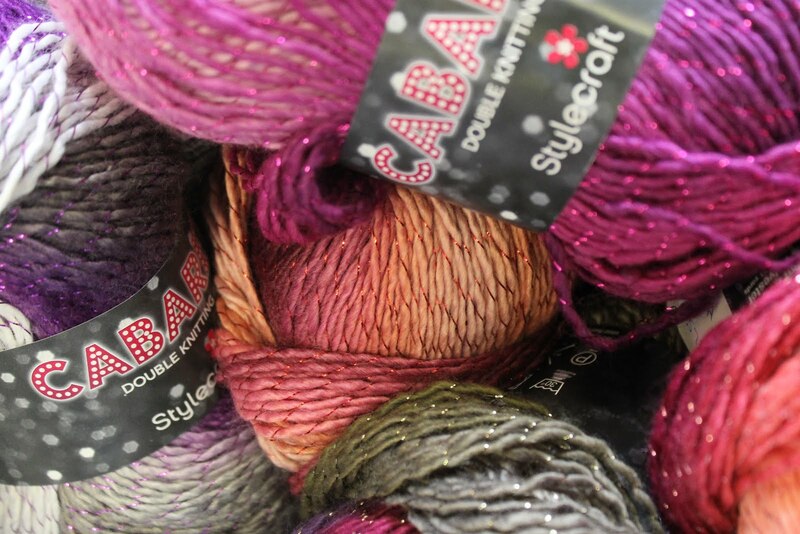 Hi Sarah, I'm about to order the yarn for knitting your beautiful shawl. 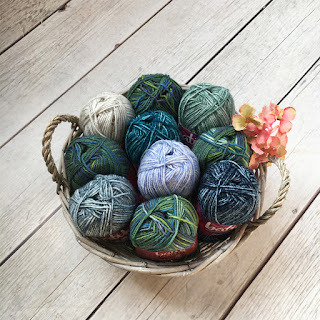 Did I need all the balls of the desert pack to knit it?